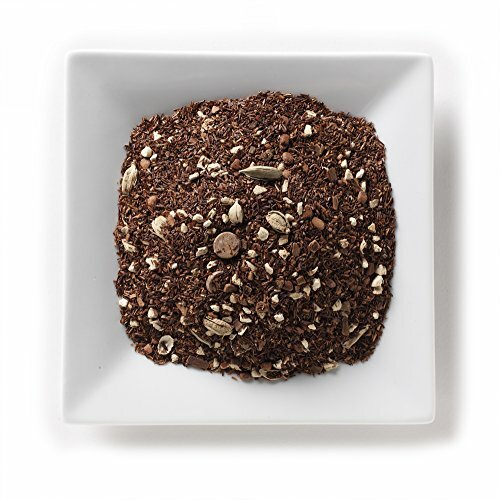 Mahamosa Herbal Chocolate Chai Tea 2 oz - Rooibos Herbal Loose Leaf (Looseleaf) Tea Blend - Rooibos, ginger root, green cardamom, chocolate chips and chocolate flavor. Mahamosa Herbal Chocolate Chai Tea 2 oz - Rooibos Herbal Loose Leaf (Looseleaf) Tea Blend (with rooibos, ginger root, green cardamom, chocolate chips and chocolate flavor) - Delicious rooibos herbal tea! Rooibos, ginger root, green cardamom, chocolate chips and chocolate flavor. If you have any questions about this product by Mahamosa Gourmet Teas, Spices & Herbs, contact us by completing and submitting the form below. If you are looking for a specif part number, please include it with your message.